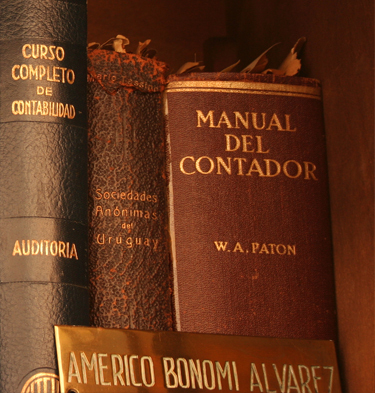 ESTUDIO BONOMI was founded in 1942 by Prof. Américo Bonomi Alvarez. 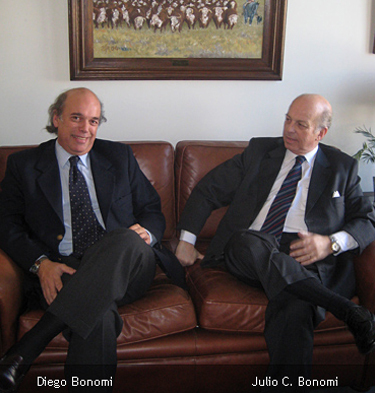 Nowadays, its partners are C.P.A.s Julio C. Bonomi de Azevedo, Diego Bonomi de Azevedo and Nicolás Bonomi Defféminis. 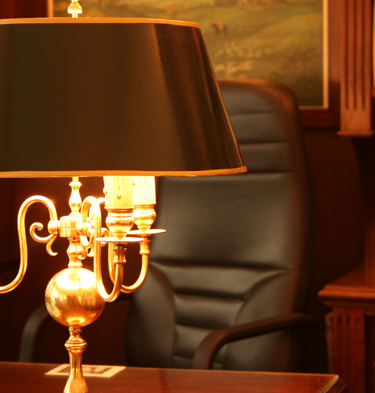 Since many years ago, members of the third generation of Bonomi CPA’s are working on the firm. Sebastián Bonomi Defféminis, Gonzalo Bonomi Defféminis and Diego Di Leoni are the managers in charge of the staff, sharing the traditional style and values supporting the application of new developments in knowledge and technology. Our firm provides a world-wide service to its clients, as we are members of "Nexia International", an association of accounting firms and business consultants, based in London. Nexia International is equipped to provide professional services with a personal touch in nearly 100 countries through 620 firms. It is situated in 1422 Zabala's street, Montevideo. Here are attended the clients from the capital city, the other parts of the country and abroad. Periodical visits are made to the last two groups of clients. From our branch located at the Free Zone Zonamerica, we take care of the business of Free Zones´users and clients from abroad. ESTUDIO BONOMI is a firm registered as Auditor at the Interamerican Development Bank (IDB) and at the Central Bank of Uruguay. 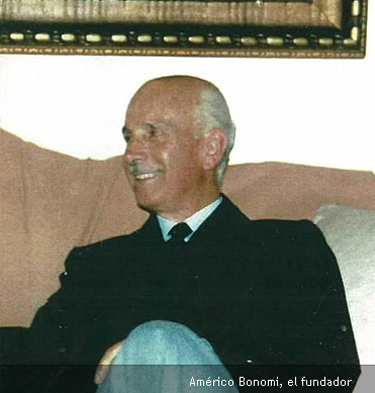 Américo Bonomi Alvarez CPA, former Professor of "Companies Accountancy and Commercial Law", at the School of Economics of the "Major University", during 37 years. Former Controller of the National Port Authority. He was the founder of our firm. He began the activities of ESTUDIO BONOMI when he took his degree, by the end of 1942. Julio C. Bonomi de Azevedo CPA, former Professor of "Companies Accountancy" from 1972 to 1985, at the same University, Professor of "Accountancy" at the "Catholic University", since 1991 and Professor of “Management Control Systems” at the “Montevideo University”, since 2000 to 2005. Former Controller of the Government of the State of Montevideo. Diego Bonomi de Azevedo CPA former Professor of "Taxation" at the School of Economics of the "Major University", since 1981 and Professor at the Graduate School of Business of the "Montevideo University" since 1998. Nicolás Bonomi Defféminis CPA, has an experience of more than sixteen years at the Accountancy, Taxation and Audit areas of the firm and has been a Professor of Accountancy for eleven years at the Catholic University of Uruguay.